It was only a few years ago that I realized that sweet potatoes and yams weren’t the same food. Many people use the terms interchangeably. Both veggies looking a lot alike. Today I am writing about the differences to help you when shopping at the market. Sweet potatoes are grown in the southern states of the US. Sweet potatoes have a smooth, thin skin. The shape is short and blocky. Sweet potatoes offer more protein per serving – 5 grams vs 2 for yams. Sweet potatoes are much higher in Vitamin A than yams. 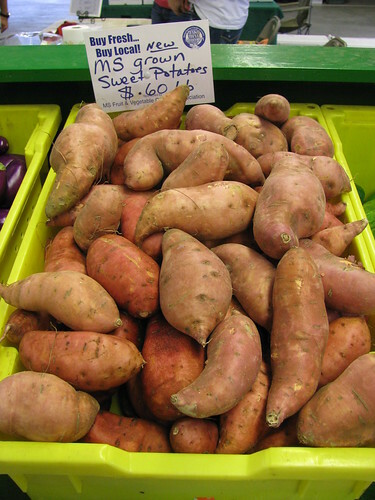 Yams are grown in the Caribbean and are imported. Yams have a coarse, scaly skin. The shape is long and cylindrical.